A hurricane is building over the Gulf of Mexico, threatening the coastal town of Bois Sauvage, Mississippi, and Esch’s father is growing concerned. A hard drinker, largely absent, he doesn’t show concern for much else. Esch and her three brothers are stocking food, but there isn’t much to save. Lately, Esch can’t keep down what food she gets; she’s fourteen and pregnant. Her brother Skeetah is sneaking scraps for his prized pitbull’s new litter, dying one by one in the dirt. Meanwhile, brothers Randall and Junior try to stake their claim in a family long on child’s play and short on parenting. As the twelve days that make up the novel’s framework yield to their dramatic conclusion, this unforgettable family—motherless children sacrificing for one another as they can, protecting and nurturing where love is scarce—pulls itself up to face another day. 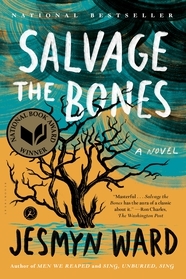 A big-hearted novel about familial love and community against all odds, and a wrenching look at the lonesome, brutal, and restrictive realities of rural poverty, Salvage the Bones is muscled with poetry, revelatory, and real. Jesmyn Ward grew up in DeLisle, Mississippi. Her debut novel, Where the Line Bleeds received the Black Caucus of the American Library Association Honor Award and was a finalist for both the Virginia Commonwealth University Cabell First Novelist Award and the Hurston/Wright Legacy Award. 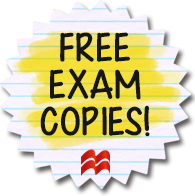 This entry was posted in American Experience, Fiction, Writing for Writers and tagged 2016, 2017, 2018, 2019, American Experience, Fiction, jesmyn ward, national book award, novel, salvage the bones, Writing for Writers on 10/19/2017 by macmillanacademic. Jesmyn’s memoir shines a light on the community she comes from, in the small town of DeLisle, Mississippi, a place of quiet beauty and fierce attachment. Here, in the space of four years, she lost five young men dear to her, including her beloved brother—lost to drugs, accidents, murder, and suicide. Their deaths were seemingly unconnected, yet their lives had been connected, by identity and place, and as Jesmyn dealt with these losses, she came to a staggering truth: These young men died because of who they were and the place they were from, because certain disadvantages breed a certain kind of bad luck. Because they lived with a history of racism and economic struggle. Jesmyn Ward received her M.F.A. from the University of Michigan and is currently an assistant professor of creative writing at Tulane University. She is the author of the novels Where the Line Bleeds and Salvage the Bones, the latter of which won the 2011 National Book Award. Ward lives DeLisle, Mississippi. 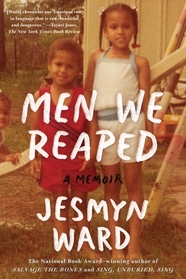 This entry was posted in American Experience, Current Topics, Diversity, Memoir, Non-Fiction, Social Problems & Solutions and tagged 2016, jesmyn ward, memoir, men we reaped, nonfiction, race on 09/15/2015 by macmillanacademic.